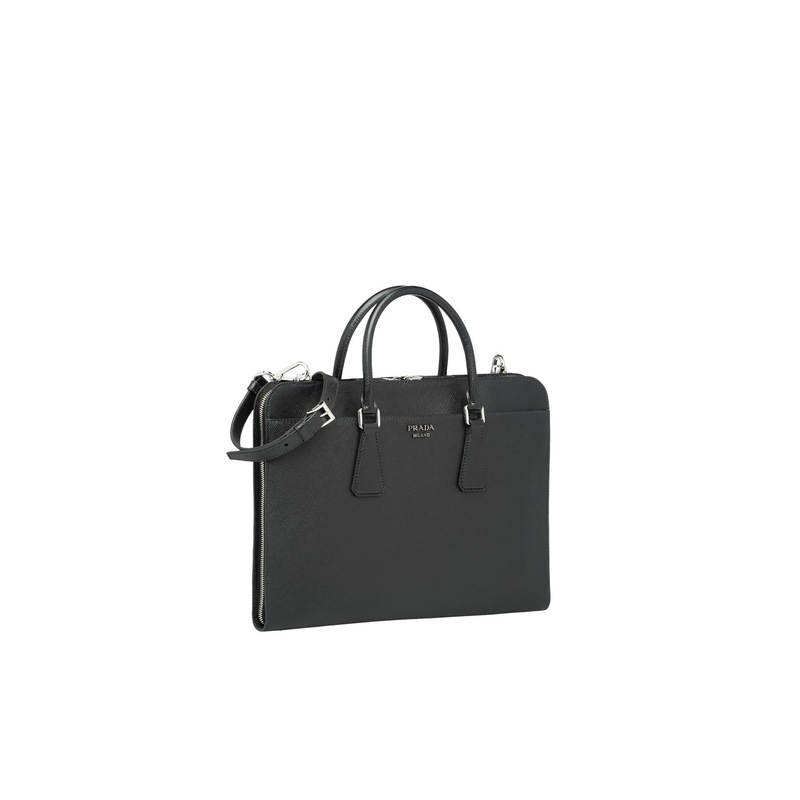 Elegant Saffiano Cuir leather briefcase embellished with the metal lettering logo. 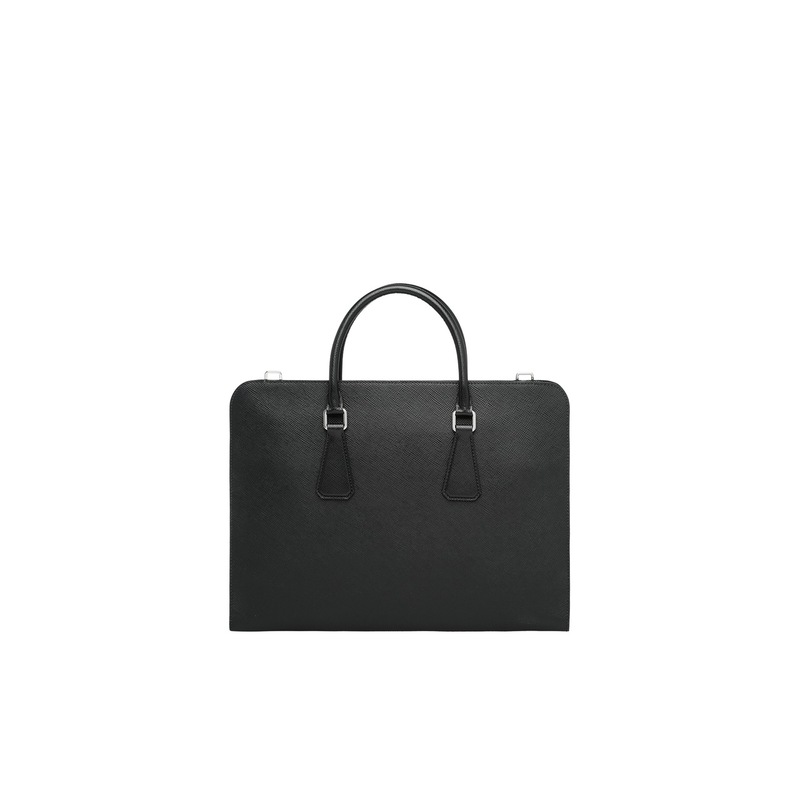 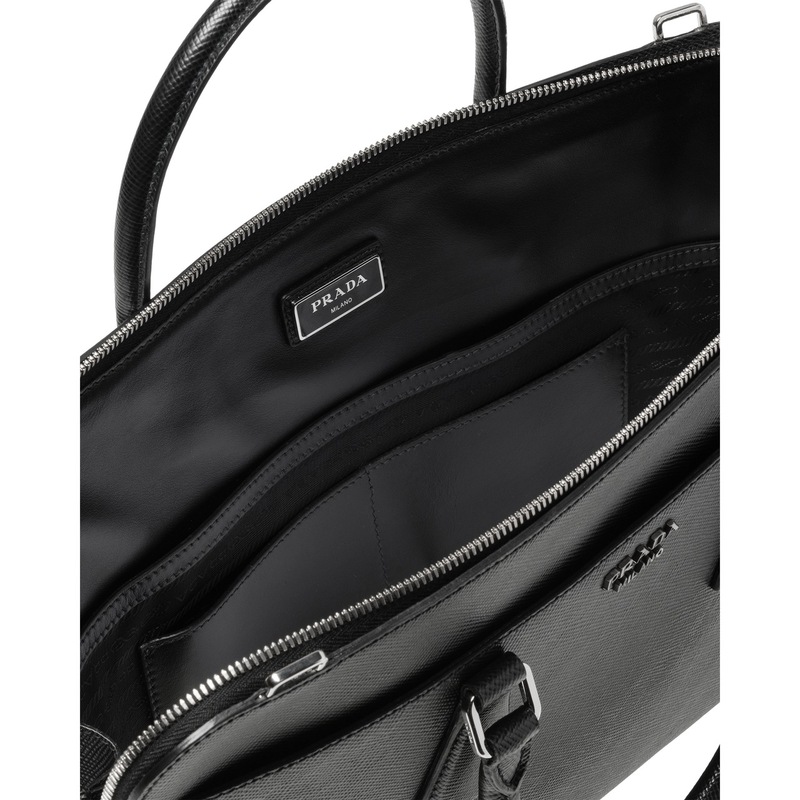 The bag has two leather handles and a detachable, adjustable leather shoulder strap. 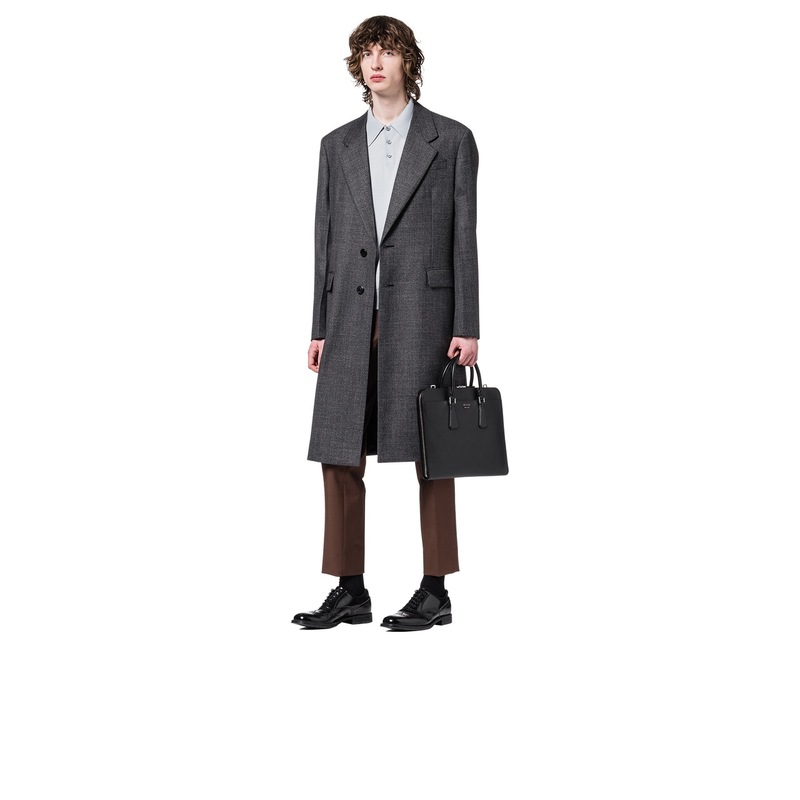 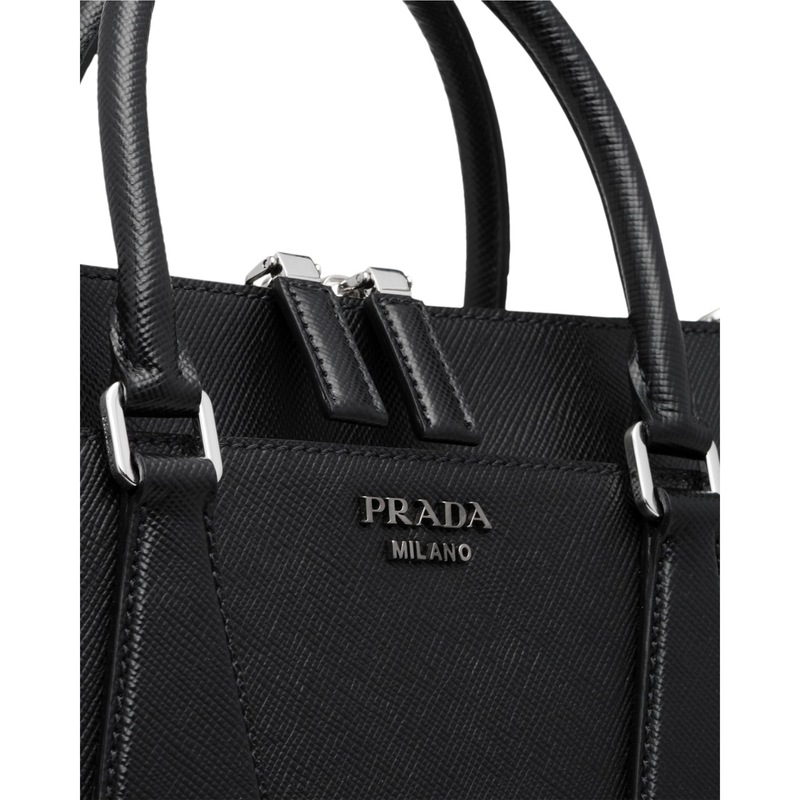 The Prada logo lining has two pockets stitched to the wall and two cellphone pockets.